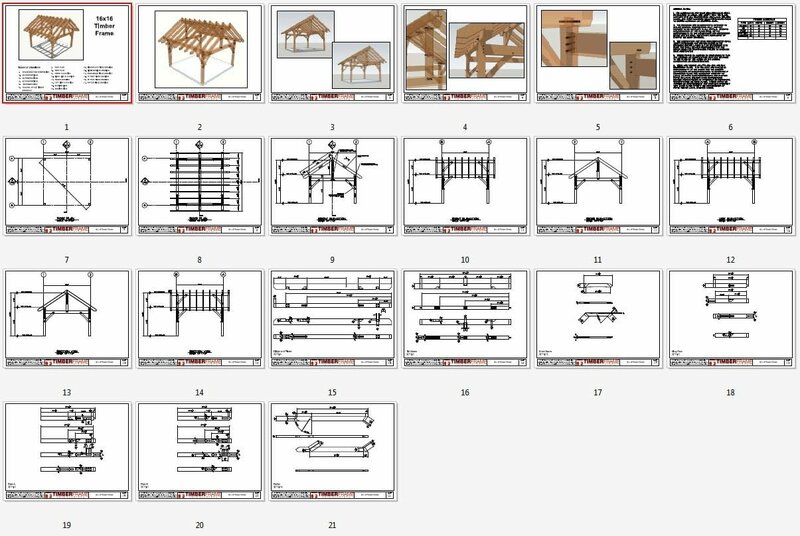 16×16 king post DIY timber frame construction plans for a pergola, pavilion or framing for a shed or workshop. Simple construction makes it a great beginner’s project. 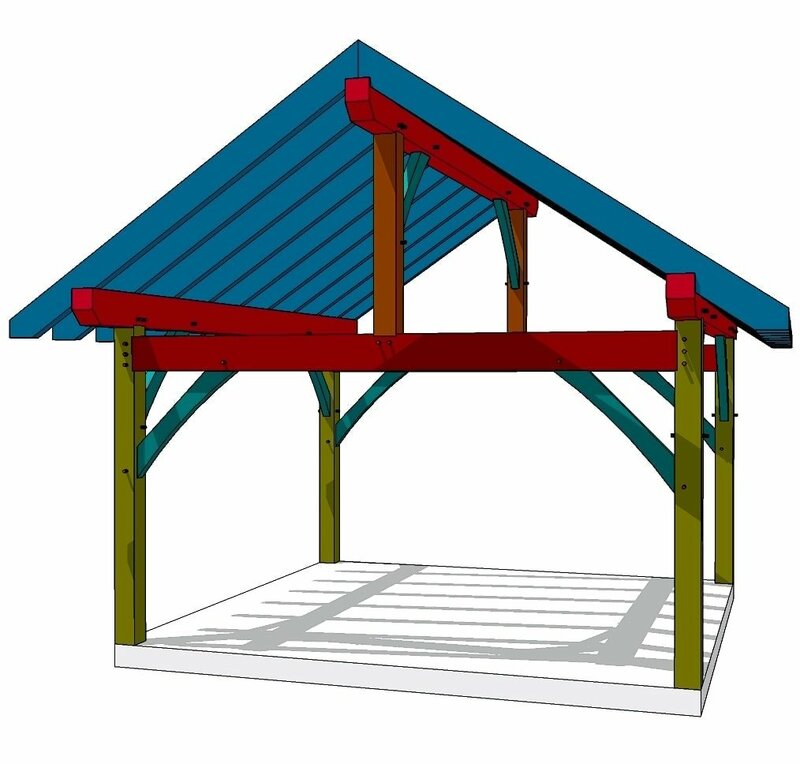 If you’re looking for DIY building plans for a shed, workshop or pavilion, this 16×16 timber frame structure is a great starting point for your construction project. 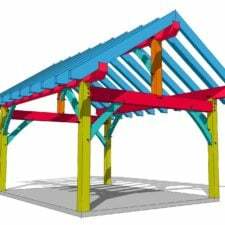 Using this basic framing plan and your imagination, you’ll be able to quickly cut the required members, raise the structure and finish it to your personal specifications. 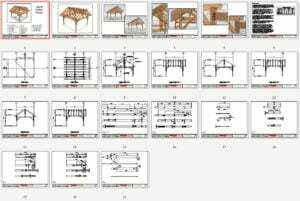 The 21-page, instantly downloadable PDF package includes scaled drawings, 3-D renderings, and a timber list, so you have everything you need to get started on your timber frame outbuilding. 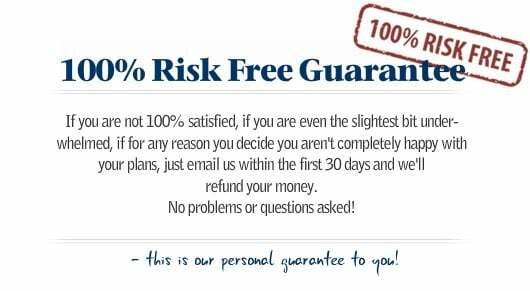 The uncomplicated and effective roof system is set at an 8/12 roof pitch and is simple to cut and construct and while the plan has an 8″ roof pitch by default we have added the dimensions for 3, 4, 5, 6, 7, 9, 10, 11, 12 inch roof pitches to allow you the option to choose. 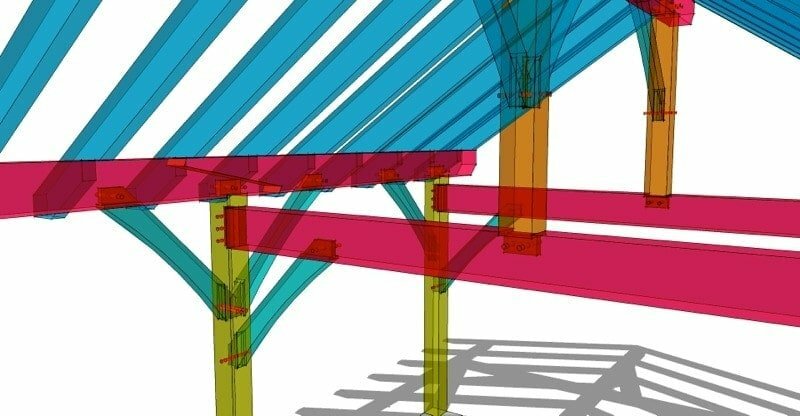 The plan uses common rafter framing and incorporates king post trusses at the front and rear of the building for added style and durability. 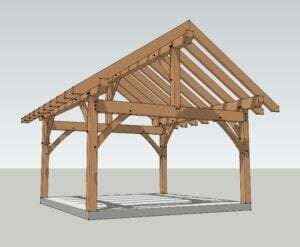 This attractive and classically styled structure is perfect to create a workshop or storage shed. 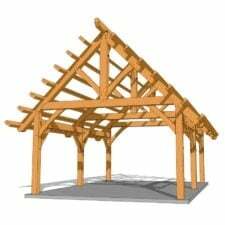 Enclose the sides and roof, and then add doors, windows, and floor to make a cozy, practical work building. 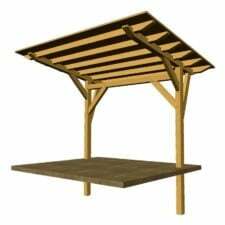 Positioned in the yard or on your patio or deck, this open framework structure is a perfect outdoor room for entertaining and relaxing. 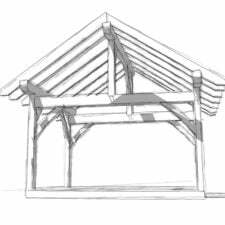 Add roofing for shade and protection from the elements or grow your favorite climbing vines and flowers to create a living canopy pergola. This basic plan is a perfect beginning DIY timber frame project to acquaint novice builders to post and beam construction, and its size and shape is well suited for small properties.